A jewelry store is limited to the amount of space they have to hold inventory, but this is not the case with online stores. Shop online for diamonds, and you’ll have access to a huge selection of beautifully cut diamonds in a variety of settings! Online you can also buy loose diamonds to put in a setting you already have, or create a custom design for a unique and personalized piece of fine jewelry. Many jewelry stores may only stock traditional settings that are sure to sell, so if you’re in the market for a more unique setting with diamonds, shopping online is definitely the right route for you to take. Jewelry stores often have limited (and more traditional) choices in stock. Online diamond retailers don’t have to pay the same operating costs that physical jewelry stores do. What happens to this savings? It gets passed on to you, the customer, in the form of lower prices for the same quality of jewelry! On top of the already low prices, many online retailers are more open to negotiation than their in-person counterparts because they simply have more wiggle room in the cost of their pieces. Many times, visiting a jewelry store can lead to pushy salespeople fast-talking you and convincing you to purchase a diamond you’re not entirely sold on. Many salespeople are trained to push customers to spend just a little more than they initially hoped to, and even the most experienced shoppers can become victim to this trick! Shopping online allows you to stay firm with your budget, since no one will be around persuading you to pursue better options. 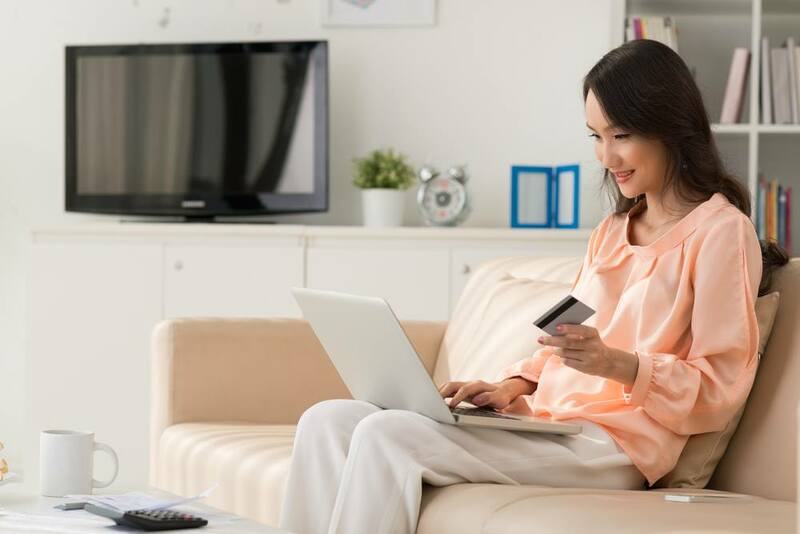 By shopping for diamonds online, customers have the option to move at their own pace, and decide on their own terms whether or not to make a purchase. Plus, finding the perfect diamond involves understanding the cut, color, carat and clarity, which can be confusing when someone is quickly trying to explain it to you. Shopping online allows you to research these terms on your own so you can make an educated choice. You know how you always send your friends and family links to things you love just to get their opinion? That’s not exactly possible when you’re in a jewelry store, unless you take the time to snap a pic, send a text and wait for who knows how long for a response! Shopping for diamonds online allows you to send links to your favorite pieces and get feedback from your most trusted circle of advisors, your friends. Shopping online means shopping from the comfort of your home! Let’s not forget the convenience of buying a diamond online compared to trekking all the way to the a local jewelry store. Buying online means you can purchase a high quality, sparkling diamond from the comfort of your own home without ever changing out of your pajamas! Plus, sticking to online shopping eliminates the travel time required to head to the mall, a major bonus for everyone balancing a busy schedule. Convinced? We thought so! Now that you’re ready to start shopping for diamonds online, where should you go? Head to Brilliance, one of the leading retailers of diamonds, engagement rings and fine jewelry. Happy shopping!